My Opinion: 8.5 || Intimate realism and a very mature look at moral compromise. After a nearly perfect first half, it makes an audacious narrative turn and loses some tightness but remains absorbing to the end. SYNOPSIS (Courtesy of Netflix): While saving up to open her own snack bar in the Belgian city of Liège, Albanian immigrant Lorna (Arta Dobroshi) is given a shot at citizenship when local mobster Fabio (Fabrizio Rongione) arranges a sham marriage to drug addict Claudy (Jérémie Renier). But when Fabio plots to kill Claudy, Lorna gets dragged into the mobster’s sordid plan. 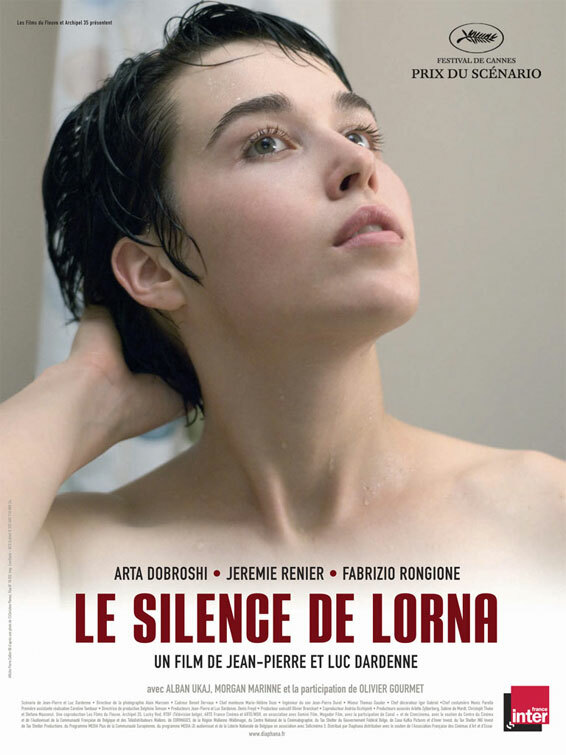 Strengths: The Dardenne brothers’ The Kid With A Bike is one of the best films I’ve seen in this project, and Lorna’s Silence is arguably even better. The former is more consistent and psychologically insightful, but the moral knot they tie in this film is extraordarily tight. The story’s socio-economic dimensions are presented with perfect naturalness, never subjected to writerly message-sending — a purity of unmanaged messiness. There’s also a useful comparison to be drawn with the Serbian film, The Trap, which I commented on a couple weeks ago. I liked the movie quite a bit for the moral snare it presents, but Lorna’s Silence reaches higher. The dilemma is laid out with greater realism and narrative economy, and the extreme verisimilitude eliminates any sense of artifice. The film takes a turn at the mid-point, skipping over crucial events with no narrative cues. It’s a brazen move that flouts storytelling convention, manipulating our assumptions about temporal sequence. For a few crucial minutes, we think that Lorna is doing one thing, when in fact, she’s doing something very different. The realization, when it comes, is powerfully jarring. It’s a smart move, too, because it occurs at a point when the film seems to have hit a plateau. The jolt is effective and elides events that nine-tenths of filmmakers would have seen as the highlight of the movie, a testament to the Dardennes’ concern with moral and emotional subtlety over cinematic gut punches. Weaknesses: Although I like the ambitious narrative-flouting turn at the mid-point, and while I understand why they did it, the second half is weaker than the first. The powerful dilemma established in the first act has passed, and the rest of the film is devoted to following its repercussions. The intimate naturalism remains, and Lorna’s predicament (physical and emotional) continues to be absorbing, but its intellectual fascination ebbs. The tight knot has snapped, leaving us to inspect the marks it left, but the tightness never returns. Viewers will likely differ in their degree of satisfaction with Lorna’s evolution in the second half of the film. If you ask me (let’s pretend you did), it’s psychologically credible but not well supported by what we know of her. Which brings us to the movie’s primary weakness: because Lorna is a woman with no past, our identification with her present can only go so far. When her mental condition changes, the cause makes sense, but we don’t know enough about her personal foundation to understand the shift. It makes sense at the literal level — but the psychologically is more asserted than revealed. To achieve a full appreciation of how Lorna’s mind shifts, we would need to know more about her hopes and frailties before the shift. It’s not coincidental that The Kid With A Bike suffers from a similar deficit in deep characterization. In that film, the motivations of the pivotal character remain opaque. The woman’s kindness is ordained by narrative fiat, not established through storytelling, which is very similar to what happens here. It seems the Dardennes believe that their extreme — and extremely effective — naturalism prohibits them from providing background information about their characters. They want us to infer the past based entirely on the closely observed present. There’s no denying the integrity of their vision or its power, but they’re demanding more of inference than it can possibly deliver. Real people have pasts that make them who they are, and ignoring those pasts altogether places a needless upper limit on the audience’s connection. Characters/Performances: Jérémie Renier. His performance as the deadbeat dad in The Kid With A Bike captured the essence of being a louse better than anything I’ve seen. Not a monster, not a fiend — just a flat-out jerk. He’s every bit as good here as Lorna’s junkie husband. Arta Dobroshi’s performance as Lorna is good as well, even if it doesn’t have the power of Renier’s role. The Limits of Subtitles: A very unfortunate shortcoming of watching a film in a foreign language is that you (or at least I) are dumb to the accents of the characters. Presumably, Lorna speaks French in an Albanian accent, but to me it just sounded like French, and so I spent the beginning of the film unaware of her foreignness. (The plot provides cues, but my experience surely differed from that of a French speaker.) And pershaps I shouldn’t admit this, but I was also slow to realize that Lorna and others weren’t speaking French in some scenes. Them foreign languages all sound the same. Best Moment: The entire first act is a marvel of efficient, unaffected exposition.